CHARLOTTE, North Carolina (WTVD) -- A pastor at a Charlotte church is one of two men arrested in connection with nine armed robberies from Charlotte businesses. John Thomas Lindsey, 47, and Fernando Carillo-Hernandez, 24, have both been charged for their role in the robberies, ABC affiliate WSOC reported. 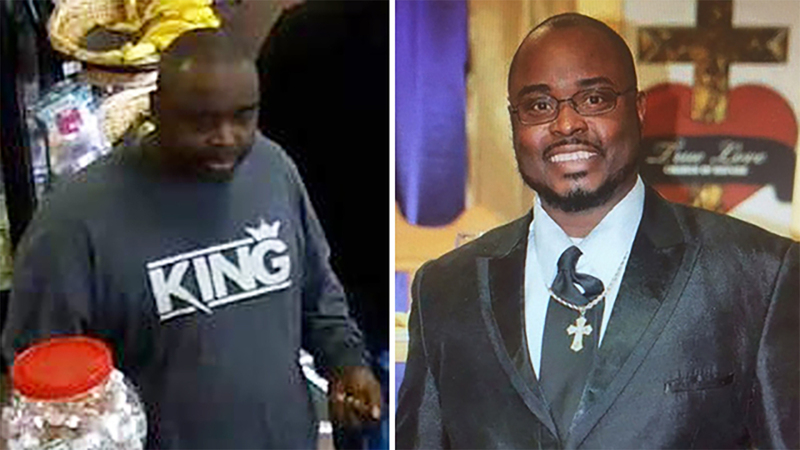 Lindsey, who is a pastor at True Love Church of Refuge on Nations Ford Road, was identified as a second suspect and Charlotte-Mecklenburg Police determined he was responsible for nine business robberies. Carillo-Hernandez was arrested Tuesday and charged with three counts of robbery with a dangerous weapon and three counts of conspiracy to commit robbery with a dangerous weapon. Lindsey was taken into custody Wednesday morning and charged with nine counts of robbery with a dangerous weapon, nine counts of conspiracy to commit robbery with a dangerous weapon, and possession of a firearm by a convicted felon. Both men are charged in connection with three different Circle K robberies. Lindsey is charged in connection with robberies from a Sam's Mart, two 7-Elevens and a Family Dollar store. "We, the leadership and membership of True Love Church of Refuge, are deeply saddened and disappointed that our leader and brother, John Thomas Lindsey, is facing charges associated with criminal activity. Though we denounce any involvement he may have had, we love him and will continue to pray for him. The ministry will continue to stand strong despite the latest allegations and will continue to preach the Gospel of the Kingdom." Information from WSOC was used in this report.